Our bodies may some day become extensions for smartphones and other devices, if a new Nokia patent is any indication. Nokia has patented magnetic material that would alert wearers to incoming calls, Unwired View reports. 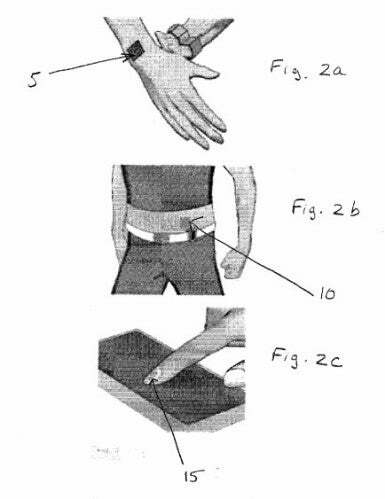 Users would wear the material on the surface of the skin or enlist a tattoo artist to apply the ferromagnetic ink directly. To set up the tattoo, the applicant must first demagnetize the ink by exposing it to high temperatures. Then, the applicant would pass an external magnet over the image material several times, increasing its sensitivity toward alternating magnetic fields. In the end, you'd get a tattoo that could alert you to incoming calls by vibrating. A paired phone, which itself would need the ability to emit magnetic fields, could even send out different types of vibrations for phone calls, text messages or other communications. Presumably, you'd be able to tell the phone not to vibrate your tattoo at night or when you otherwise don't want to get twitched. The concept is creepy, but not entirely new. Designers have been dreaming up embedded technology for years; PCWorld even looked at some examples in a roundup of crazy concept phones. Google's rumored plans for augmented reality glasses are only a few steps removed from smart contact lenses, which Microsoft is actually working on. It's not too crazy to imagine a future where instead of carrying around smartphones, we simply wear the technology on our bodies. But for now, Nokia's haptic tattoo is just one more extreme patent that won't graduate to real product status any time soon, if ever. At least it's amusing to think about.